This biographical statement is provided by Houtan Kian, excerpted from his handwritten letter from prison. Minor edits and subheadings have been added to improve readability without changing meaning. I was born on 21 January 1974. According to a widespread Iranian (Tabrizi) tradition, my late father increased my age by one year in my birth certificate (as he did with his other children). On 14 August 1980, my father was arrested for supporting the Khalq-e Mosalman (Muslim People) party, and two days later, on 16 August 1980, he was executed by firing squad. My father’s name was Majid Houtan Darzheh, known as Majid Kuzegar (Majid the potter). The prosecutor who held sway and had unmitigated power in the northwest of the country was Seyyed Hossein Mousavi Tabrizi (head of the Majma’-e Rouhaniun-e Mobarez – Society of Combatant Clerics, residing in Qom), who is now a black-turbaned religious scholar. After my father’s execution, this prosecutor came numerous times to court my mother through coercion and threats. My mother recorded one of this visits on a cassette, which she sent to Mr Khomeini (the founder of the Islamic Republic), but to no avail. The late Ayatollah Montazeri, on hearing the cassette, explicitly expressed his displeasure to the prosecution office pertaining to the aforementioned personage, and consequently my mother was forced to re-marry. As for me, I was expelled around January/February 1995 by the head of the Shahid Beheshti (Melli) University Disciplinary Committee, Haddad ‘Adel. This was when Dr Haddad ‘Adel was head of the Centre for Persian Language and Literature. The reason for my expulsion was my publication of two books. The first was called Collected Socio-political Essays (published by Amir Kabir). It dealt with the struggle to counteract superstition and reveal the brutality cloaked in Islam and the true nature of the Islamic Republic. It contained 47 essays written by four authors. The second was called Solitary Dialogues (published by Talash). It was sociological and dealt with backwardness; I was its sole author. In accordance with Iranian laws, because of my expulsion I was banned for studying at the university for two years. [Thus,] in order to continue my studies, I was forced to obtain a new birth certificate in the name of my stepfather. During that year, in my time of tribulation I represented myself in the revolutionary court, headed by the cleric Haj Fazel, and began to study the law; of course, my father’s fate increased my motivation in this field. Regarding the two aforementioned books, in accordance with existing laws, I was initially condemned to death, but because I was under 18, I was sent to a juvenile reformatory and the sentence was commuted to seven months’ incarceration and flogging. In 1999 I consulted with Shahram Jazayeri Arab, and was acquitted of all charges. From 2001 I began working as a lawyer. Because I had obtained some inheritance from my mother, I took no money from most of my clients. As demonstrated from the available records (archive of court files and rulings and so on), most of my cases, because of my fields of specialisation (penal law and criminology), were political or related to murder, stoning, execution and so forth. In July 2010, following the recommendation of the Judiciary because of my proficiency, I accepted to be the court-appointed defense lawyer of Mrs Sakineh Mohammadi Ashtiani. I even paid all the requisite fees as well as her children’s rent and mortgage and other expenses between July 2010 until late October, when I was arrested. In any case, on 10 October 2010 I was arrested. One evening I was placed in solitary confinement in the secret service building located in Sa’eb Street. 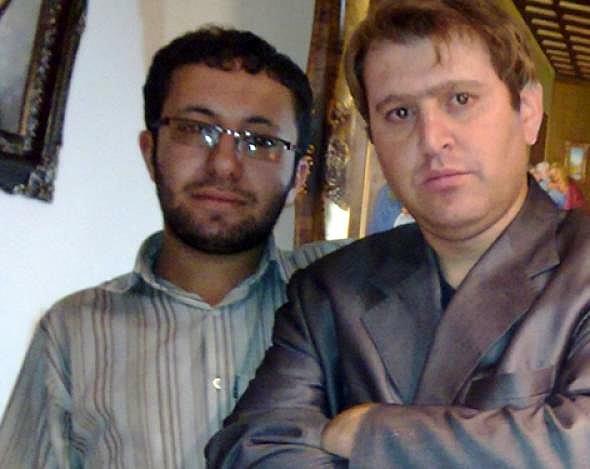 The following day, after having been informed of the charge against me by the interrogator of the Ministry of Intelligence in Tabriz, Mr Hashemzadeh (nephew of Hossein Shariatmadari, former interrogator and director of the Keyhan newspaper which adheres to the governmental doctrine of ‘velayat-e faqih’, the ‘rule of the cleric’), and after my home and office were sealed by the authorities and my car seized, I was conveyed by plane directly to ward 209 of Evin prison. (Since from that first moment I was bound hand and foot and blindfolded, I didn’t know whether the Germans were also transferred along with me; I should explain that later, after I was transferred to Tabriz prison on 22 January 2011, I realised that they had not been transferred to Tehran). I also became aware that from 11 November 2010 onwards, Sajjad Qaderzadeh had unfortunately been officially co-opted into collaborating with the Intelligence Ministry, to which he revealed all information at his disposal. (The case number in interrogation branch 4 is 890632). I am kept in solitary confinement in ward 209 of Evin prison, in a new building that is approximately 100 stairs above the cellar level. All the signs of torture remain on my body, and following the orders of the interrogator of branch 4, my written entreaties have been ignored. I have been made to wear nylon underwear, and in the time of my solitary confinement in ward 209, from 11 October to 12 December 2010, I have been burned by approximately 60 cigarettes on my legs, testicles and feet (5 cigarettes there). I am only given one meal a day, in the morning; once it was a small piece of cheese, another time, three dates. I have lost 51 kilos, and twelve of my teeth have been almost completely broken by blows with boots, as has my nose, which bleeds permanently. At midnight, in cold weather, I was soaked with a fire hose and left, with hands and feet bound, in the courtyard until four in the morning, when I was taken to be interrogated. Consequently from 13 December 2010 to 10 January 2011 I was confined to a place resembling a hospital, whose location I still do not know. The marks of intravenous tubes are still visible on my arms and legs. From 12 to 22 January 2011 I was bedridden in the hospital ward of Tabriz prison, and according to the doctors there, it is miraculous that I came back to life. I am currently in ward 7, which is designated for the quarantine of the insane and HIV-positive and hepatitis-infected intravenous drug addicts. This contravenes the regulations of the Islamic Republic’s own prison authority. The charges against me are simply that I bravely defended my client and my other clients, and caused the expulsion of four corrupt judges (Sedaqat, Bahush, Juyande and Afarin) from the court establishment. Given that I was forced to obtain a false birth certificate in order to continue my studies, this act was counted as a crime and added to the charges against me. 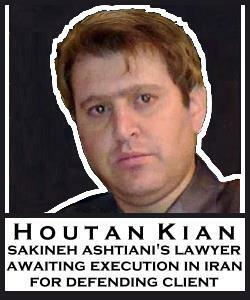 Please sign the petition and participate in the letter-writing campaign to demand the immediate and unconditional release of Houtan Kian. I demand the immediate and unconditional release of Houtan Kian.